WANT TO GROW YOUR SALES??? WANT TO CONVERT EVERY LEAD??? WANT TO HAVE MASSIVE INCOME??? 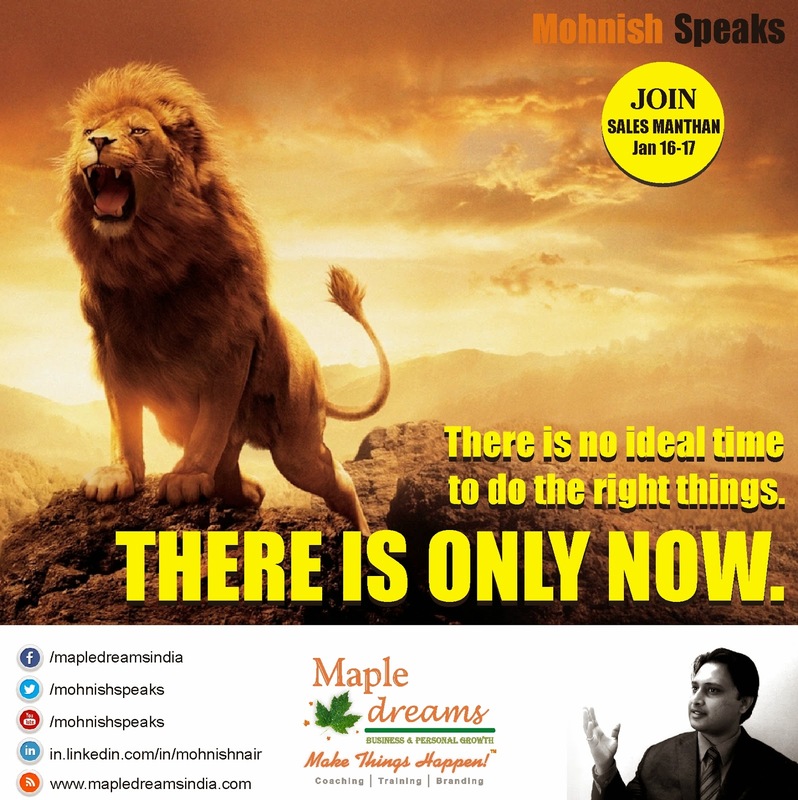 Join Mohnish Nair, a powerful sales trainer in his upcoming 2 Day workshop on sales called SALES MANTHAN. You can also visit the following page and register. Mohnish Nair is a Growth Coach who enjoys coaching small business owners create BIG businesses. There is no ideal time to do the right things. There is only NOW. There is no ideal time to do the right things.There is only NOW.